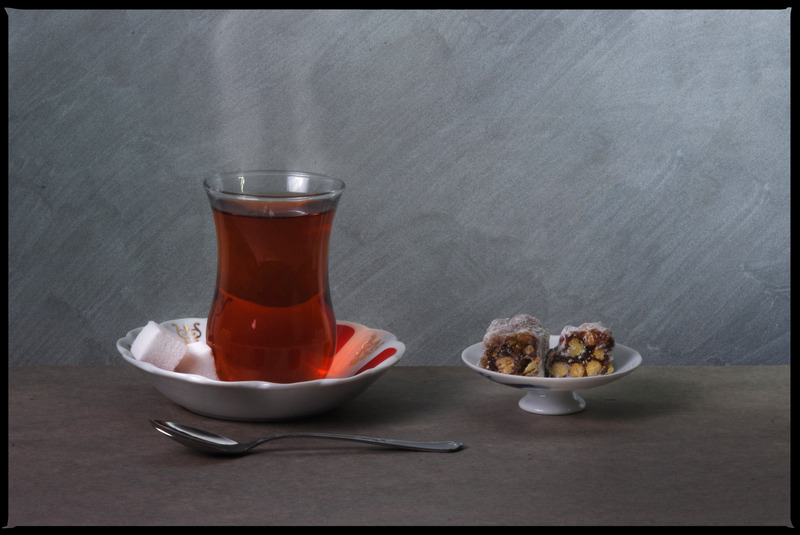 A tulip black tea with Turkish delight is offered as a warm welcome to guests and visitors in a Turkish home or a store. Here we have the Turkish Delight (aka Lokum ) made with pomegranate and pistachios served with the tulip tea. This is a perfect combination of flavors and warmth anytime of the day or night. Two sugar cubes are always served with the tea and most of the people use only one cube. Last week we drove from Izmir to Canakkale. On the middle of the road we stopped for breakfast by the ocean. 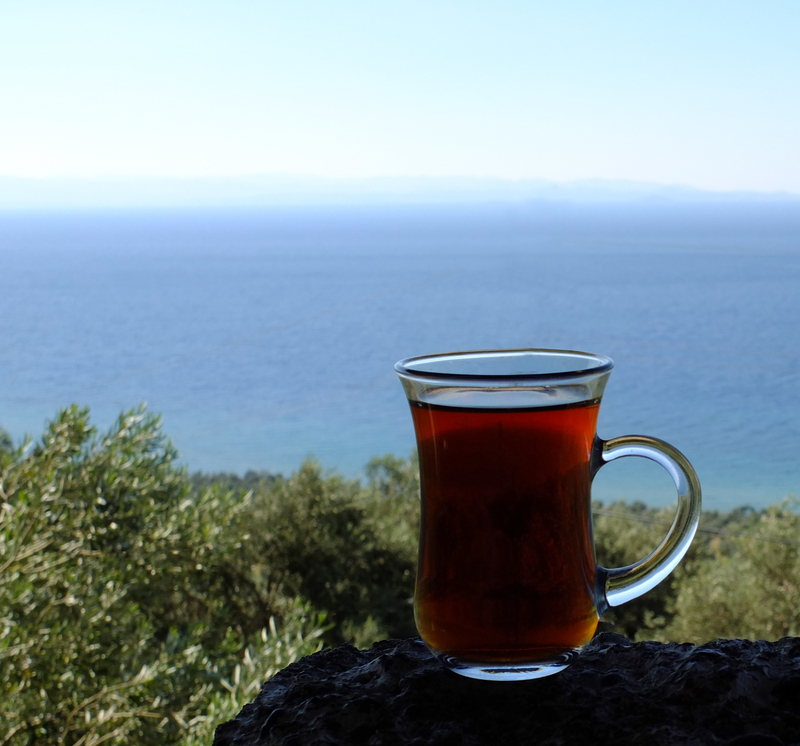 The Turkish teacup was placed on a large stone, the olive trees were just below. At a distance we observed the shoreline, the Aegean Sea and on the horizon are the Mytilene mountains. What a scenary!